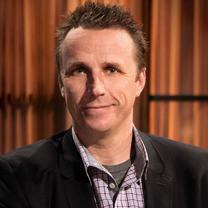 Chef Marc Murphy is an executive chef, restaurateur and television food personality. He fell in love with French and Italian cuisine during a childhood spent living throughout Europe. He went on to work in some of the most highly esteemed kitchens in the world from Paris to Monte Carlo and today is one of New York's most celebrated chefs. "This is one of my favorite dishes I’ve had all year! I keep going back and having it again and again it’s from @chefjgv market carrots, stone ground nut and seed butter, chilies, lime"
"About last nights pizza pie 🍕🍷🍕🍷 @#tgif"
"A well balanced lunch 👍 #joesstonecrab"
"Enjoying the best of Naples back in nyc! This wasn’t my pie b/c I ate all mine before anyone could take a picture. But here’s the Buffalo mozz, with hot salami & basil 💥 @#ttpizza"
"Wishing everyone an extra sweet long weekend! Might of had a few bites of these today 😬 @#doughnyc"
"Another great winter staple, but also the perfect hangover food. Congee is basically a Chinese version of porridge and it comes a million ways but I loved the dried scallop option - it comes chock full of scallops, peanuts and enough cilantro to bring all the flavors together." "Sourdough bread with extra virgin olive oil and Maldon salt #mondaymotivation"
"Housemade mozzarella with English peas, cucumbers & fava bean hummus. Get it at @#timewarnercenter"
"Avocado toast with sunny side up eggs & amazing sourdough bread👍 #seasonwithauthority"